Whether your company is seeking an ISO certification, a virtual receptionist, or a 21st-century image update, The Receptionist for iPad can help get you there. Curious to know more? Check out our 14-day risk-free trial to discover all the ways The Receptionist for iPad can enhance your facility. About Modus Advanced, Inc. 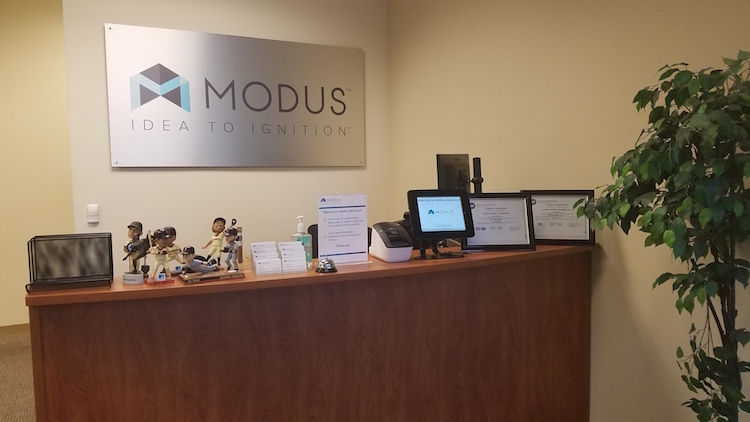 Founded in 1976 under the name Western Rubber & Supply, Inc., Modus Advanced is a leading fabricator and distributor of performance polymers and engineered solutions for the OEM marketplace. We create custom components for clients who use our products in everything from electric vehicles, to military weapons, to external heart pumps. Latin for “measure,” “method,” or “way,” Modus conveys our commitment to advanced materials, comprehensive capabilities, and rigorous quality. Best known as part of the phrase “modus operandi,” or “M.O.,” this name is in line with our philosophy of going above and beyond for our customers and our focus on designing efficient, precise processes that achieve consistently superior results for our partners.